You may have thought the GoPro Hero 4 was already small enough for your needs, but GoPro have managed something truly impressive with its successor the Hero 4 Session, announced today. The Hero 4 Session, which has been three years in development, is a 50% smaller and 40% lighter version of the GoPro Hero 4 that still boasts water resistance (though only to 10m, not 40m like its larger counterpart. As you can see from the pictures, it looks different to current GoPros, mostly due to the fact that it lacks the familiar clear plastic casing. 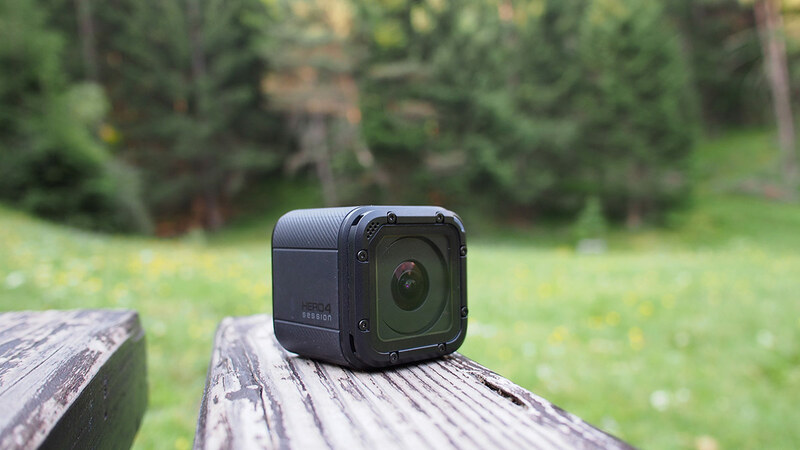 Even though it’s smaller it is still compatible with existing GoPro accessories, and it has textured rubber coating along its sides for secure grip. 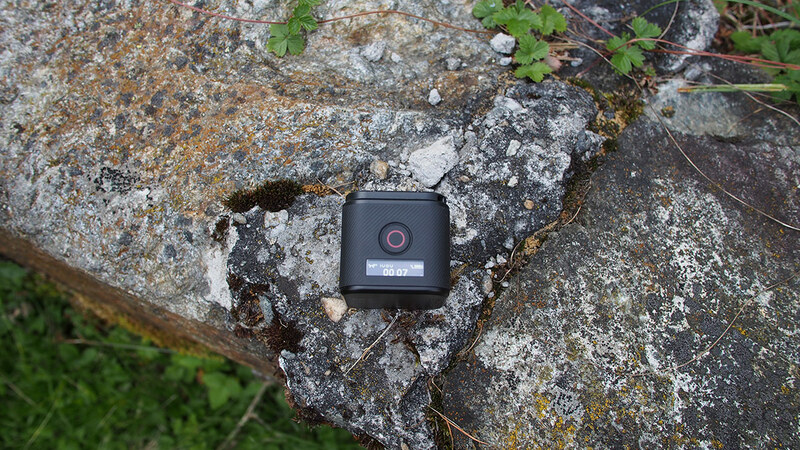 Featuring relatively few buttons, the Hero 4 Session is simple to operate – a main button starts or stops shooting, or if held for three seconds takes photos at timed intervals. 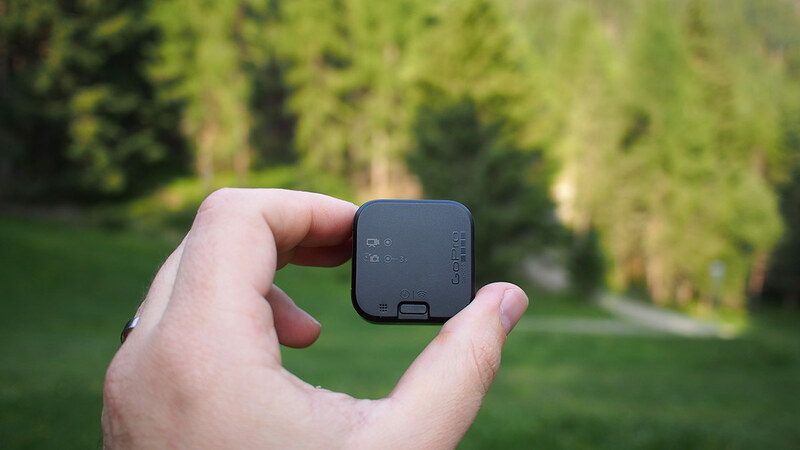 A smaller button at the rear is used to pair with a smartphone via the GoPro app. The GoPro Hero 4 Session does not shoot 4K video like the regular Hero 4, instead shooting at a 1440 resolution with 4:3 or 16:9 aspect ratio. Its 170 degree causes a fish-eye effect, which can be reduced by using the 16:9 aspect ratio, and further reduced in editing if you want. It also comes packing two microphones, one at the back and one at the front, and uses software to decide which to prioritise. Our friends at colleagues at Trusted Reviews have already had a chance to have a play with the new GoPro Hero 4 Session. 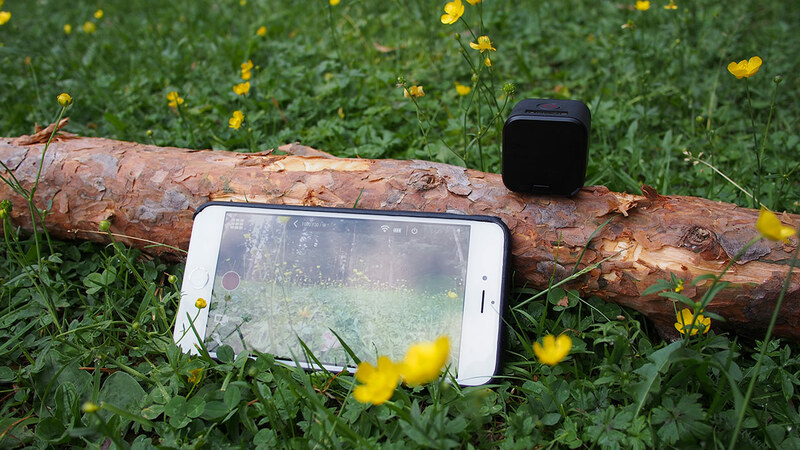 Editor Evan Kypreos found the video quality to be superb despite the lack of 4K, though noted that the amount of functionality packed into the small body did cause the Session to get quite hot after extended use. ‘The GoPro Hero 4 Session is an incredible achievement and a dream come true for adrenaline junkies who want to capture their exploits (and shouts of ‘Rad’ and ‘Gnarly’) with ease. Its diminutive size and lack of weight also makes it the perfect choice for helmet mounting. The Hero4 Session will be available soon, official price £329.99.